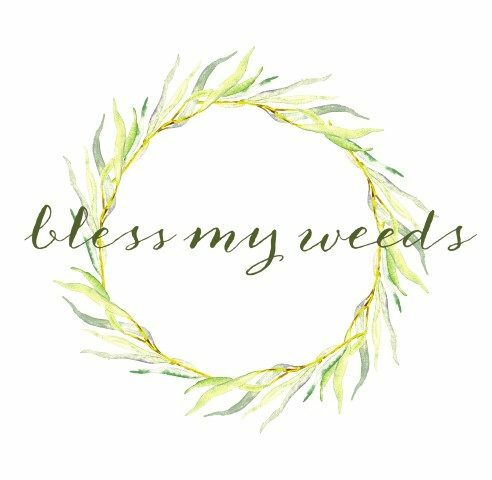 Today at Bless My Weeds, I have a fall harvesting guide to help you harvest your best fall vegetables yet! 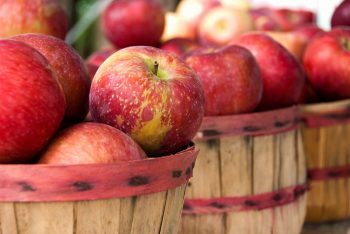 Fall is really synonymous with apples and pumpkins, but there is so much more you can reap from your cool weather garden. If you time your cool weather vegetables just right and start some more seedlings in the summer time, you can harvest some delicious vegetables right around the first frost. 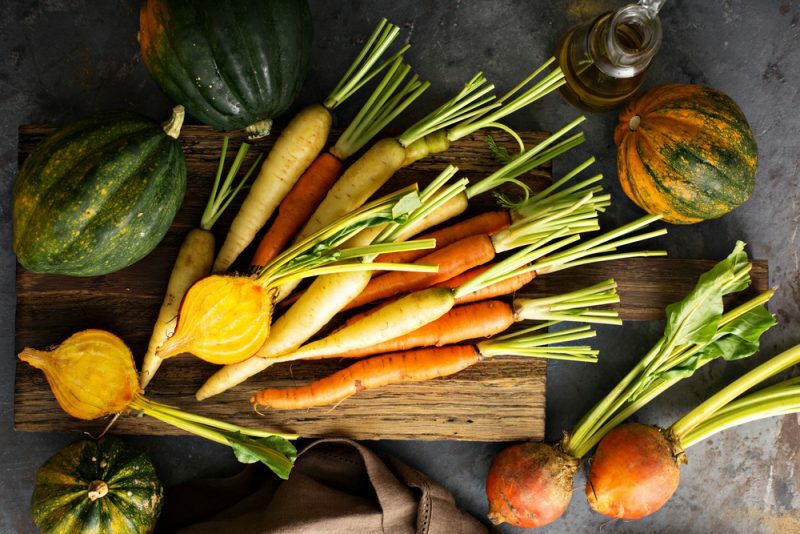 And a lot of these vegetables taste their best after the nights start to turn cold! 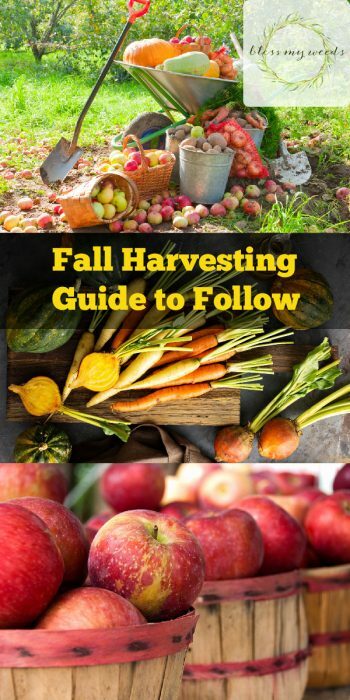 The most important thing to know when planning your own fall harvesting guide is when your first frost usually occurs. For an easy look at first and last frost dates for you area, check out Dave’s Garden. You only need to know your zip code, and some very helpful information will pop up about the average frost dates where you live. Start plants such as summer squash, lettuce and cabbage 12-14 weeks before the first frost. 10-12 weeks before first frost is a good time to start broccoli, cauliflower, celery, carrots and scallions. At 8-10 weeks before the first fall frost, you can plant seeds for spinach, mustard and arugula. A last planting of spinach can happen as late as 6-8 weeks prior to first frost. Right at first frost, you can plant garlic and onions for harvesting next spring! Use lots of mulch to protect the plants as the weather turns colder. Even after you have a first frost, the weather can warm up again and tends to bounce around a little bit. 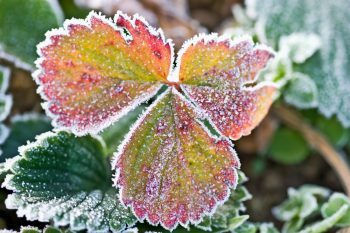 You can prolong the gardening season in weather like this by shielding your plants on hard frost nights. Use blankets or some type of frost cover. You can find several convenient options at Amazon. Be sure to keep the ground moist. 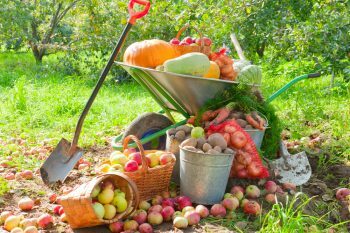 Thanks for checking out my fall harvest gardening guide. Good luck with your own fall garden. It’s helpful to take notes so you can remember what works best in your particular area and garden. Gardening is always a work in progress!